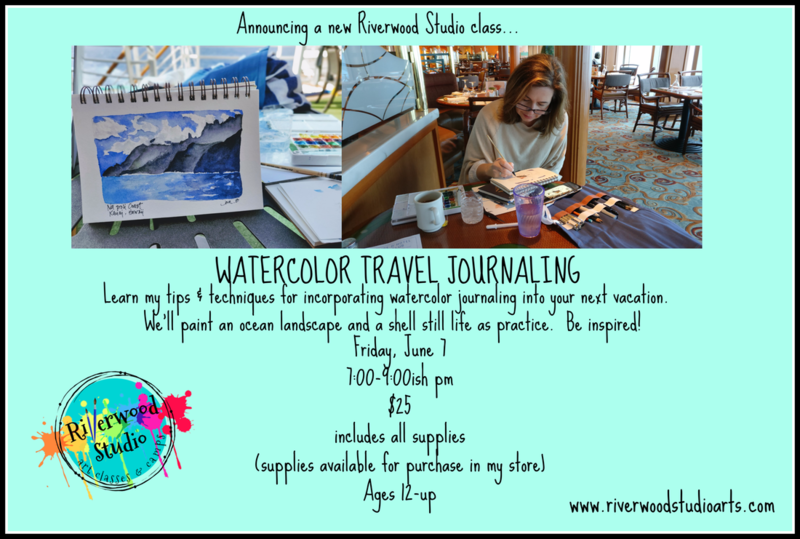 I am a big fan of bringing along my watercolor journal and supplies on my trips, and I have learned some things along the way that just may inspire you to do the same! We'll paint an ocean landscape and a shell still-life as practice. ​but you may purchase supplies in my store if you'd like to be all set for journaling. Please register below and I will send you a confirmation within a day or two. ​You may need to check for it in your spam folder. Payment will be collected on the day of the class.